I would love to donate this to my rescue that I volunteer with in honor of my beautiful Nyla who passed away last August. Having her made me realize just how much the dogs coming out of the shelter and having to adjust to a new way of life could use this type of product. Your offer caught my eye at just the right time. My puppy is having severe anxiety. His birth mother moved to a different home last week and nothing is soothing him, not even steak or hot dogs. He won’t touch them. If this works it would be the answer to my prayers. I would love to try this for my beaglemix. The thundershirt helps a little bit but it would be too hot to wear it during summer months. I just rescued a dong named Austin and I live in Florida the thunder storms are huge , this product sounds great . I would like this for our boy Bailey he has problems with a lot of noises. My dog, Maisy, gives out a high pitched bark as soon as she gets in the car before we pull out of the driveway. This doesn’t stop until the car makes it final stop. 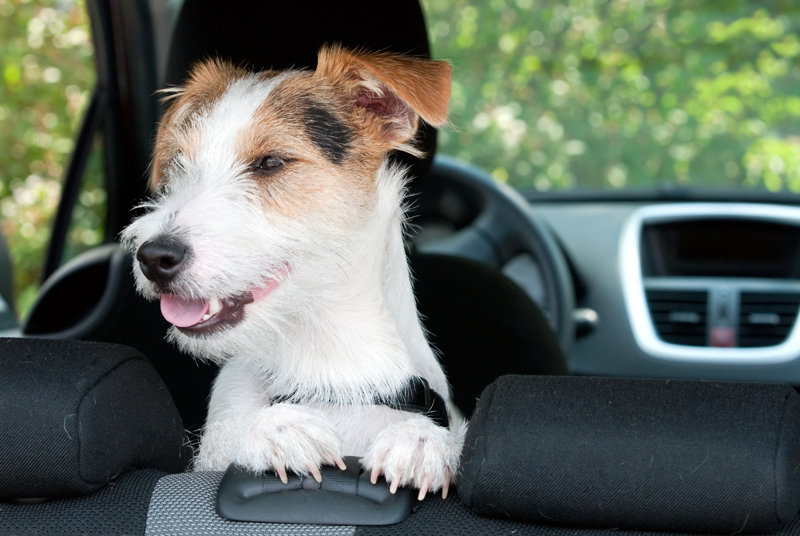 She seems to know that getting gas doesn’t mean the ride is over, even though the car is turned off ! I have a rescue dog and she is terrified of thunder, fireworks, and even just our back yard fires in our firepit. She has previously dug a hole in my sons carpet from digging because she was so scared during a thunderstorm and we were not home! This pill could be a huge help to her! We have 10 rescue pups and 7 of them are petrified of fireworks, thunder and gunshots. We live in rural area to be able to rescue as many animals as possible. We currently have 30 total. The problem with rural areas in AL is that gunfire, target shooting and people just firing their guns for fun scares my dogs to death. They have to be in my lap or hiding under or behind furniture. Its heartbreaking. We have tried other brands but they seem to just get our dogs high to the point they can’t even walk or they stumble. I would love to try this! I have 3 doggies – 2 seniors and a beagle who is on anti-seizure medication. All 3 of them get very anxious in the car and we would like to be able to take them along at times when traveling in our travel trailer so that we don’t have to board them which can be hard on them. This might be just we need! This would be a real help to my thunder storm scared dog. Would love this for my rescue dog who is afraid of loud noises and storms. My dog has pretty bad separation anxiety and I would love to try this for him. We’ve had our Angie Marie since she was 5 weeks old. We have never so much as raised our voice at her and she’s afraid of EVERYTHING that makes even the slightest noise. Thanks for the chance to win. This pup needs to chill. I would love to see if this really works for my dog that is afraid of loud noises. I’m hoping these will help my dog calm down during thunderstorms and fireworks. My dog is very afraid of firecrackers and fireworks which people shoot off this time of year in my neighborhood, so I’d love to try this for her anxiety. Both of my kids are in college now and my house has changed. My dog is stressed. My mom’s dog is terrified of fireworks and thunderstorms and nothing has been able to calm here. These just might work. My Bailey has pretty bad anxiety, especially on the 4th of July, and hunting season. We live in the country so we hear the hunters shooting their guns all day during hunting season. Bailey gets too scared to even go outside to use the bathroom. I’ve tried all sorts of calming treats, but none have worked thus far. Thank you for this opportunity! My Corgi, Hootie, has become extremely agitated and alarmed when fireworks are put off. 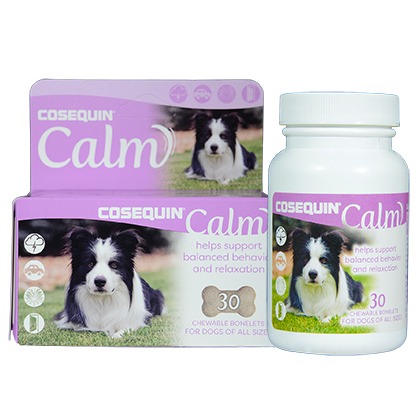 She would greatly benefit from this new product, Hopefully , we could win the free bottle of Cosequin Calm. I have one dog who loses it completely in the summer with the storms in Florida that roll through. He will literally urinate, pant, drool, pace, shake horrifically and just lose it. Sigh. Nothing I’ve tried yet has seemed to help him. I know there is no cure all but something to take the edge off would be amazing. He even passed out a couple weeks (scared the heck out of me) because he got so worked up during a storm. We at Imminent Danger German Shepherd Rescue adopt and transport hundreds of dogs each year. Cosequin Calm would greatly benefit our dogs by helping that transition be as stress- and anxiety-free as possible as they are transported from their foster homes to their adoptive homes. Thank you for all you do!